Fish maybe the most delicate ingredient to handle. From knowing how to choose it fresh to cooking it perfectly, we invite you to spend 2 days in the kitchen learning various techniques that will broaden your knowledge and skills: signs of freshness to select it, descaling and gutting (both through abdomen and gills), skinning and filleting round and flat fish, deboning and stuffing, pan-frying without overcooking, poaching, making fish stock and fish soup, and we will also prepare "moules marinières". 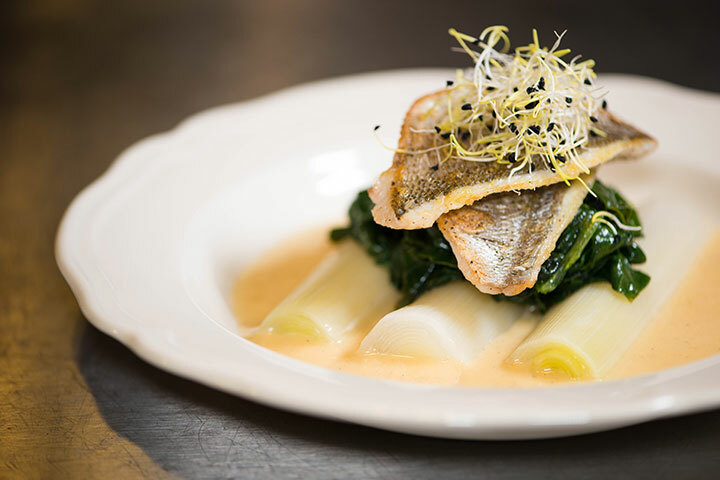 The dishes you cook will also include preparing a classic beurre-blanc sauce and a traditional creamy fish sauce. Your repertoire of fish recipes will expand drastically as these must-know techniques will be applicable to the fish you can get back home and will stay with you for life. Arrival from 4:00pm. You settle into your room and we meet up for drinks and canapés at 7.00pm to discuss our program. After breakfast, we meet at 9:30am in the kitchen. You will learn how to remove the spine and bones from fish to butterfly and stuff them. We will apply the technique to sardines and stuff them Mediterranean style. You will then grill them for lunch. We will also make sweet short-pastry to make the dessert for dinner that day. We meet up in the kitchen at 1:00pm. You will learn to gut - both traditionally and through the gills - descale and fillet a round fish as well as prepare and cook shellfish. You will also learn how to make a classic beurre blanc sauce. 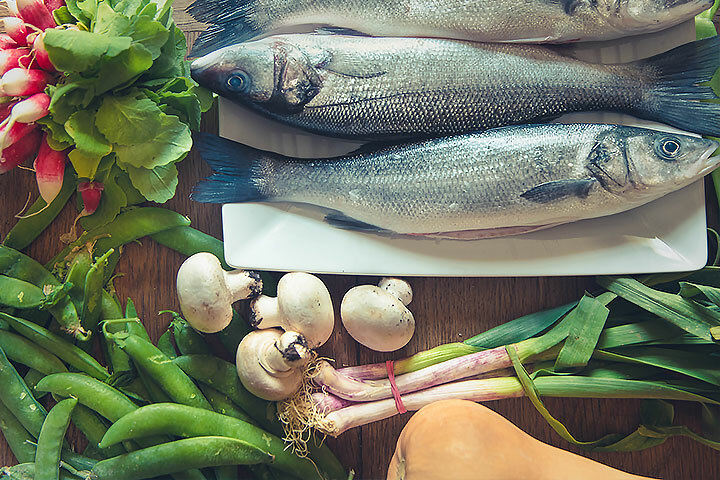 We will clean and prepare mussels 'à la marinière' for starter, then for mains pan-fried fillets of seabass served with soufflé mash potato and a beurre blanc sauce. We will also make a tarte tatin for dessert. Aperitif at 7:00pm, followed by your well deserved three-course dinner. After breakfast, we meet at 9:30am to practice your filleting skills and to learn how to make fish stock and fish soup. 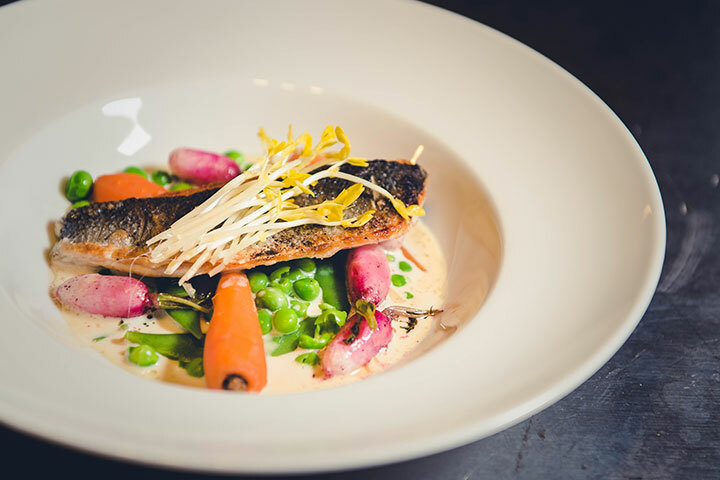 We will prepare a fish soup, complete with garlic croutons and rouille, which you will enjoy for lunch. We meet up in the kitchen at 1:00pm. 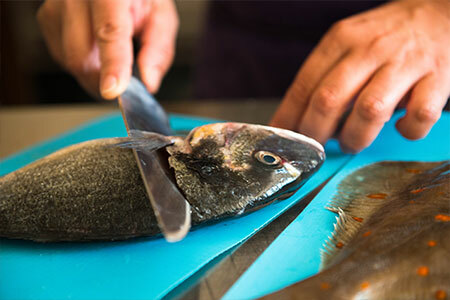 You will learn how to skin and fillet a flat fish and how to steam the fillets, how to poach salmon and how to make a fish sauce. We will prepare a salmon terrine for starter, steamed fillets of plaice with creamed leeks for mains and a traditional vanilla crème brûlée for dessert. Aperitif at 7:00pm, followed by a delicious three-course dinner. Sadly, we will have to say our goodbyes after breakfast. Drop off to Tonneins train station is at 8:00am. No hidden cost. Your accommodation, every single meal (with drinks) and all taxes are included. No supplement for solo travellers! No Demonstration Watching - All Classes are Hands-on! Children are more than welcome (they only have to be tall enough to reach the workbench) under their parent's supervision. The courses take place from February to November, just enquire about the dates that suit you. If you would rather join an existing party, view our full booking page.